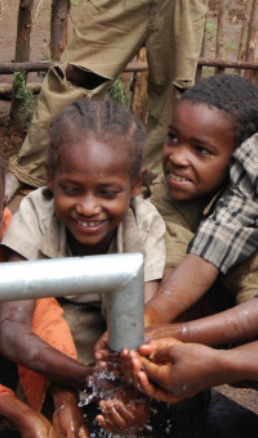 In December of 2009, Westlake partnered with LifeChurch Indy (our next door neighbors) to build a clean water well through ICA (International Crisis Aid) in Angacha, Ethiopia. Clean water is the beginning of sanitation, health, education and a better economy in the third world. One billion of the world's population lack access to clean drinking water. This past Christmas (during the Advent Conspiracy - see 2009 Series above), that changed for the people of Angacha. Together with LifeChurch, we raised over $20,000. We built more than the one well we had planned! In late February (2010), the well was dedicated by Tony Portell, pastor of LifeChurch. See the joy of Christ that we were able to share halfway around the world! God is definitely GOOD! !